The design studio Aust & Amelung by Miriam Aust and Sebastian Amelung creates and develops furniture, interiors and exhibition architecture. Both designers studied product design at the School of Art and Design Kassel. During this time Miriam Aust interned at the Dutch studio Tejo Remy and Rene Veenhuizen and the studio Makkink and Bey. 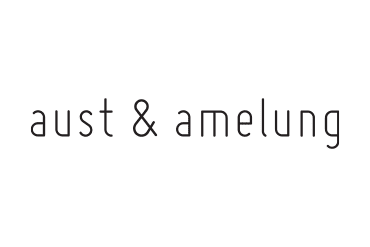 2011 she and Sebastian Amelung established the studio Aust & Amelung, based in Kassel. The studio collaborates with national and international clients such as the Italian producer COVO srl, the label dua collection and the Stiftung Deutsches Designmuseum.